FORMER SLAVES OFFERED SANCTUARY. RIOTS AND VIOLENCE IN SHELTER DISTRICT UNCONFIRMED. DEREYGON LODGES PROTEST WITH MILITARY COMMITTEES ABOUT LACK OF REPUBLIC PATROLS IN BORDER SPACE, SEEKS RESOLUTION TO FUND INCREASED SURVEILLANCE OF IMPERIAL ACTIVITIES. In an update to the dramatic story reported earlier this week, a permanent home has now been promised to the nearly one thousand people liberated from secret Imperial facilities at the edges of Republic space. A repeat of previously aired footage showing Jedi Master Maryck Vos leading accused Imperial slave traders and Sith into a Coruscanti court building later shifts to footage of the referenced liberated people, working to make a long-abandoned neighborhood in Coruscant's mid-levels fit for temporary habitation. Debates in the Senate's Reconstruction Committee and Galactic City's Department of Infrastructure about how to provide material support to these refugees came to a close today when the planet Dereygon stepped forward to manage their resettlement. Dereygon's First Minister, Qintal Chafee, made the announcement in a press conference in the Senate's Garden of Justice this morning. The footage cuts to a small but energetic gathering of officials and press on the lawn of the Garden of Justice, with the enormous bannered wall of the Senate Tower behind them. Senate Guards are posted at the perimeter of the gathering, at the heart of which stands a Human male of middle-age, with neatly trimmed hair and beard of steel gray, wearing a military-style suit bearing some sort of insignia or rank bar. "The people of Dereygon extend a hand of support and understanding to all those who have suffered under Imperial occupation, as we ourselves once did. We officially invite these newly liberated souls to make a home on our world. The Republic is supposed to represent how we are made stronger when we unite and help each other, and today we want to prove the truth of this ideal, by showing these people that they have not been forgotten by all in the Republic, even if it was the Republic's neglect that let these abominable slaving operations flourish." Dereygon does not hold a seat in any of the Senate's military or prominent trade committees, and until recently they have been part of no significant voting blocs in the Grand Assembly. Under Article 15 of the Treaty of Coruscant the world was ceded to Imperial control, but fourteen years ago a Republic delegation negotiated for its exemption and the planet rejoined the Republic. It now lies just barely within the borders of Republic space, a position which some have argued makes it a less than secure refuge for newly emancipated Imperial slaves. But First Minister Chafee pushed back strongly against these skeptics. The footage returns to the press conference in the Garden of Justice, where the First Minister is responding forcefully to a recently posed question, seemingly angered enough to speak more candidly with cadences that suggest he is going off script. "Anyone who says our world isn't safe enough to offer a home to these people is essentially saying that the Republic wouldn't come to Dereygon's aid in the event of an Imperial invasion. If we will no longer protect our own worlds then we've all got much bigger problems than criticizing those of us willing to do the honorable thing in support of our fellow beings. The Republic gave us up once, but we don't intend to be forgotten again. And if we have to take up arms to defend ourselves, we will, and we'll invite our newest citizens to do so with us." In recent months, Senator Passela of Dereygon has become an outspoken voice in the Senate against what she calls political paralysis in the face of crises of resource scarcity and civil unrest. 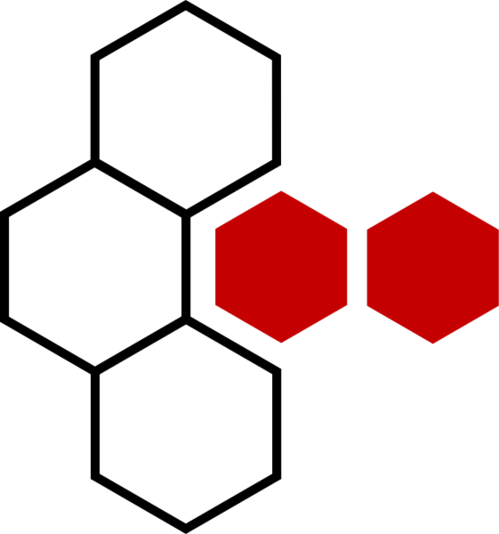 Some have argued that this is only a publicity stunt meant to capture more attention for the voting bloc of Mid and Outer Rim Republic worlds which Dereygon only recently joined, but reports indicate that the planet's promises are already being followed up by action, with a convoy of ships having departed Dereygon for Coruscant, carrying supplies and intended to transport the refugees to their new home. Footage returns to the run-down Coruscant neighborhood where the former slaves continue to fortify abandoned buildings for use as shelter. Among the moving figures, working alongside them, is the same Jedi Master shown earlier leading prisoners into the court building. It is not yet known whether all of the thousand beings being offered this new home intend to accept, but further reports indicate that the Jedi continue to work to liaise between the refugees and the Senate. First Minister Chafee was a speaker on behalf of another Jedi, one Master Reymark, at a hearing at the end of the last standard year, and it is believed she may have played a part in negotiating this arrangement. In the meantime, official protests have been lodged with the Galactic City's Department of Infrastructure on behalf of local interest groups arguing that none of Galactic City's resources should be diverted to the support of off-worlders while local residents still struggle to rebuild neighborhoods in the aftermath of last year's bombardment. Rumors have circulated about a possible riot within or attack on this camp of former slaves, but we have not been able to substantiate these rumors at this time. In an overdue statement made this morning local time, Irmenuan representative Tasha Fortzigar finally revealed in a much anticipated announcement concerning the future of Irmenu's trade market, that a recently blasted underwater mine has revealed fresh veins of Adegan Crystal. Promising that the much sought-after crystal would be on the table for exportation, she stipulated that the price per metric canister would vary depending on what each faction could offer in return. This good news could not come sooner, as we have been experiencing a galactic-wide shortage of the crystal, which is essential in the construction of lightsabers, the tool for Jedi, Sith and Zakuul Knights alike. However it appears that the Republic may have finally run out of good faith on the neutral trading stage. Previously, the Valefor had open trading with the Republic at an increased tax rate; good for business, but not for their shaky allegiance with the Empire, from which the independent system of Sith warlords broke off soon after Emperor Vitiate's betrayal. Warlord Protector Bælfir Yosoth stepped forward to explain that, due to the unfortunate breakdown of communication in regards to the unlawful detention of Queen Vedriat of the Shadren Hegemony, there will be no trade negotiations with the Republic. "There will be no negotiations. Not until the Republic do the right thing, and respond to Valefor's request for a just and fair dialogue concerning the imprisonment of our beloved Queen involving circumstances for her immediate release. They have the audacity to call my great allies in the Empire for unlawful, chaotic and cruel; and yet they respond not to our attempts at diplomatic relations. I have spoken recently with the awoken King Dorian - he worries deeply for his wife, and the royal children miss their mother." Bælfir looks directly into the camera. "If you see this, my Queen, know that your people love you, and that we work tirelessly to recover you from this disgusting obstruction of justice." The Holonet Intertgalactic has reached out to Republic officials for comment. This galactic interjection is not intended to foment violence or describe a policy of isolationism or rejection of outsiders; trade and cultural exchange is a positivity and a value amongst all of our Colonies, to be praised, and will never be abandoned even when the asteroids are emptied and the husks of the Queens Forgone fade to nothing but gross and crumbly dust, let it be forbidden. Nonetheless, our good intentions and many hugging arms have been taken advantage of, and we demand redress and respect for our losses. A recent group of visitors to the Foreign Shareatorium aboard the sovereign Verpine <TRANSLATOR ERROR> lifehole of Slayn caused what we understand to be known to citizens of the wider galaxy as as 'ruckaballoo', and this tragic happenstance has caused damage to our properties and threatened to sour the milk that flows through the teats of goodwill between the Verpine colonies and its many peaceful allies. This Gozanti cruiser violated the Ultrahug Preserve at coordinates 167-morf-541-croit-Aurek/Cherek, disrupting the territories of various cosmozoans and leading a class-Enth Ultrahug on a dangerous <TRANSLATOR ERROR> bronco-bust through civilized territory. Many ships and facilities were hugged most eagerly and unwelcomely. The Gozanti cruiser then engaged in an inexplicable and suicidal traversal of our patented Gravity Shear Sublimator, throwing off delicate machinery and clogging our pet nebula with hull materials and sublight engine exhaust. This is all bad. 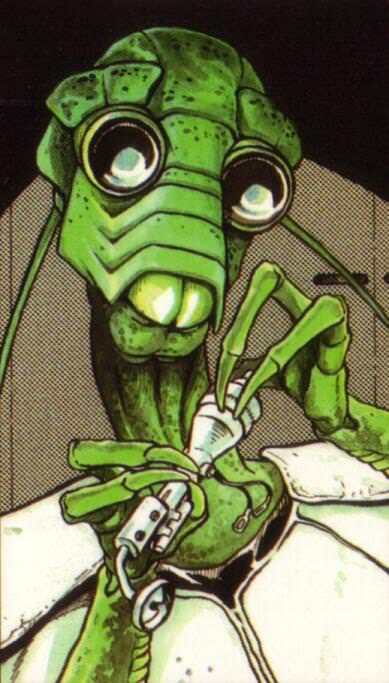 This <TRANSLATOR ERROR> coracle violated NUMEROUS sovereign zones, refusing to submit to a customs droid boarding action, recklessly piloting through a tractor-tug fleet (causing hundreds of credits of damage in the process), and assaulting the visiting Ithorian Herdship 'Port <TRANSLATION ERROR> Granola' with unauthorized flightspace invasions and a reported weapons activation, which is a capital crime among the Ithorians punishable by fifteen weeks of meditation circle attendance and a bout of 'deep rake therapy'. Both Captains then engaged in a brutal fistfight aboard Slayn Colony that escalated into a vortex of chaos wherein no fewer than three other visitors discharged weapons, destroying half a dozen Slayn hive droids and interrupting an attempted drone insemination, spoiling the seed and rendering the entire experience kind of gross for everyone involved. Captains Nephrite and Arthack are hereby banned from the Roche Asteroids, until such time as they pay a fee of 20,000 credits each and agree to undertake mento-inculcation on proper behavior amongst the Verpine clans, as well as two spins each on the Punishment Jubilee to determine community service duties. The Jedi Tayleost is hereby banned from the Roche Asteroids, until such time as he or the Sacred Order of the Jedi Killers pay a fee of 300,000 credits and agrees to undertake sensitivity training amongst the Queen's Royal Egg-Tenders with a success rate of 95% (allowances for the deliciousness of sterile eggs, of course, calculated freely). The false Jedi 'Milter Erlim' is hereby banned from the Roche Asteroids, until such time as she molts and proves herself to be a mature adult worthy of laying a powerful clutch. All Mandalorians are hereby banned from the Roche Asteroids for a span no shorter than two standard weeks, and shattergun sales are to be canceled until such time as Slayn Colony receives an apology, preferably in the form of one of those helmets (but with holes for antennae, please). After a technical fault caused the Vault Block from the Upper Ring to make an emergency landing on the surface of the sea, a robbery directly following an attack on the block by a Jedi Master wielding a lightsaber and accompanying violent gang members has been described by those present as a disturbing act of terror. "I thought Jedi were supposed to be the guardians of peace and justice in the galaxy, not common thieves," The access terminal staffer on roster that day says tearfully into the camera, "Or do they only protect Republic citizens? W-we're in neutral space. I don't understand. My children thought they were going to lose their mother." 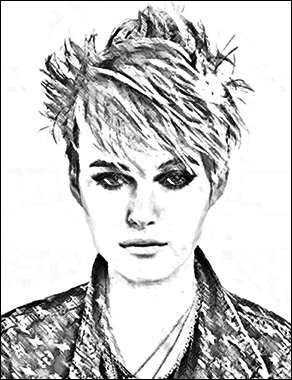 An electro-magnetic pulse used by the terrorists has unfortunately corrupted security feeds from the time of the attack, but a sketch-artist has provided an image of the lead culprit from descriptions provided by government employees and the Warlord Protectorate himself, who valiantly attempted to stop the thieves on their way out. An artist's impression of the culprit. The ringleader, referred to as 'Grey' at the time by her accomplices, is noted to be a middle-aged Echani woman of slim stature bearing a pink or purple lightsaber. She is not to be approached by civilians and considered highly dangerous. 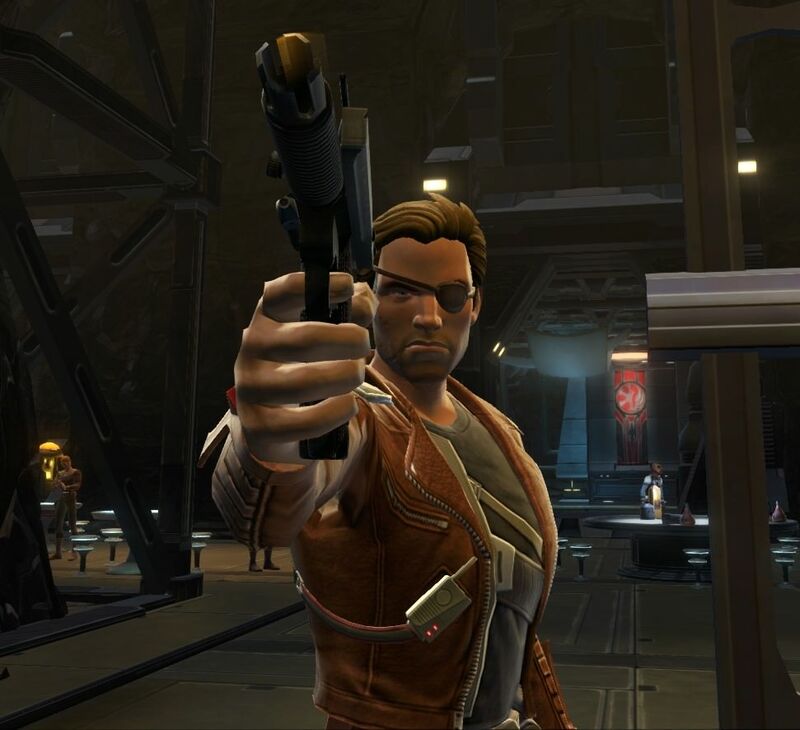 Other gang members included an old man dressed as a pirate; a masked humanoid with a speech impediment; an assassin who remained mostly stealthed; and a lone Mandalorian in a rabid state of rage. Warlord Protectorate Prince Bælfir Yosoth has urged for calm and faith in the regents's office in this time of instability and outright animosity from the Republic, which our beloved Queen still remains an illegal prisoner of. In a statement made this morning, he assured the general public that nothing of value was stolen from the people that cannot easily be replaced, and that thankfully there was minimal loss of life in the attack. However, development of the Adegan crystal mines has been put on hold for security reasons. Prince Bælfir leads a moment of silence for the victims of the attack. A portion of the Shadren Hegemony fleet has since been called out to patrol the Irmenu System. The Holonet Intergalactic has reached out to Republic officials for comment. Treslanis IV Joins the Empire! In Other News: Mak Doral says that his quad-goal against the Rotworms was "just a dream come true" ... Nima'Kluub: Freedmen Holy Land, or another galactic hoax? ... Strange rumors of events over Odessen, what is the Alliance doing? ... This and more to follow! The formerly independent world of Treslanis IV has agreed to become a Protectorate of the Sith Empire, according to a joint press release issued by Governor Edre Baylen. Prior to the resumption of open hostilities after the Battle of Corellia, Treslanis IV was defined as a Tributary of the Sith Empire. Organized by then-Lord Quarasha Ahnshal, this world has been seen as a minor breadbasket for the galaxy, leveraging large farming surpluses to feed far-off worlds and maintain their neutrality. 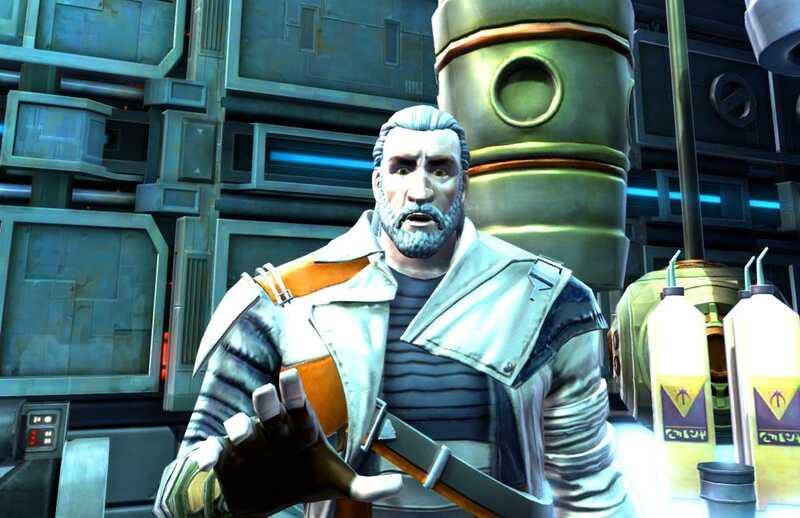 Baylen, previously the head of Treslanis IV's planetary government, said that the decision to return to Imperial control was not made lightly. Speaking to GNN, Governor Baylen said, "between the unending threat of piracy and the inability for most governments to effectively combat it, it was felt that Treslanis IV needed a strong military presence to protect its citizenry." When asked what specific incident prompted this decision, Baylen refused to comment, simply stating that interplanetary affairs would be handled by the offices of Lord Asori Alnas and Lord Zhel. Lord Alnas had no comment at time of release, while Lord Zhel stated that "The Empire's only effort here is to protect a sadly vulnerable segment of the galactic community. The Eternal Alliance and Galactic Republic would not comment on the record of the matter, however Republic Senator Alyonna Rhybak (Feldinar) stated "This smells just like a Sith power grab. If Governor Baylen was coerced into making that statement, the galactic community, and the people of Treslanis IV, will surely respond appropriately." Governor Baylen Rhees has represented Treslanis IV for the last 12 years, formerly the chief inspector of the Sorialas Starport. Lord Asori Alnas is a member of the Ministry of War, in command of the 333rd Imperial Marine Regiment. 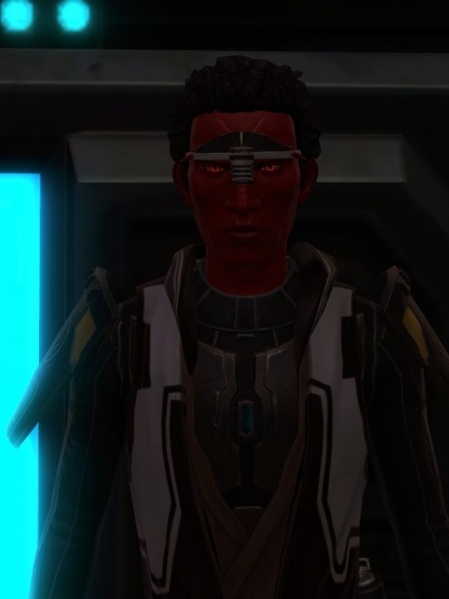 Lord Zhel is a member of the Imperial MInistry of Logistics and commands the Imperial Cruiser ISS Zedney's Reign. 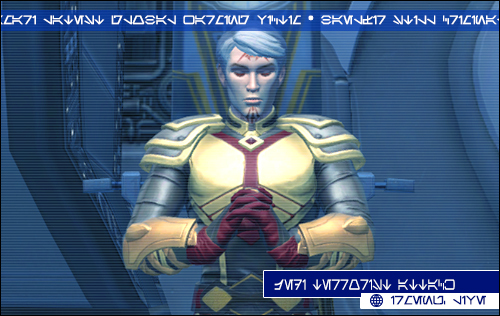 Senator Rhybak represents the Republic world of Feldinar and sits on the Senate Military, Intelligence and Near-Human Relations committees. 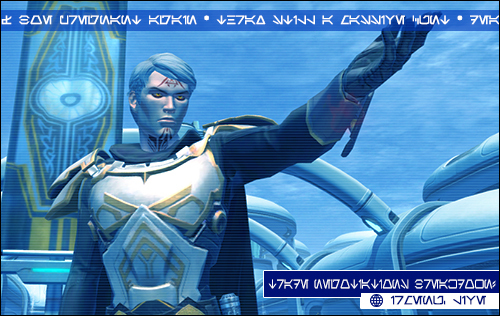 Galactic News Network: Your one stop for news from Coruscant, Dromund Kaas, Odessen, Nar Shaddaa and all points in between! 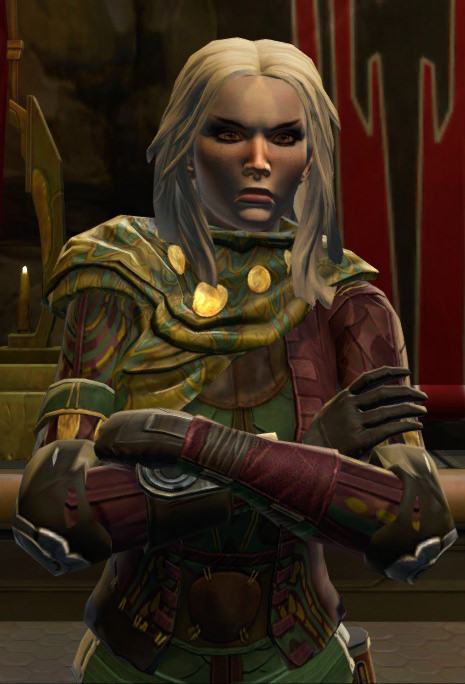 Word has come from the historically isolationist Azurbani Sector that Sheyf Nahia Vos, beloved leader of the Kiffar people, has tragically passed away in a coup attempt. 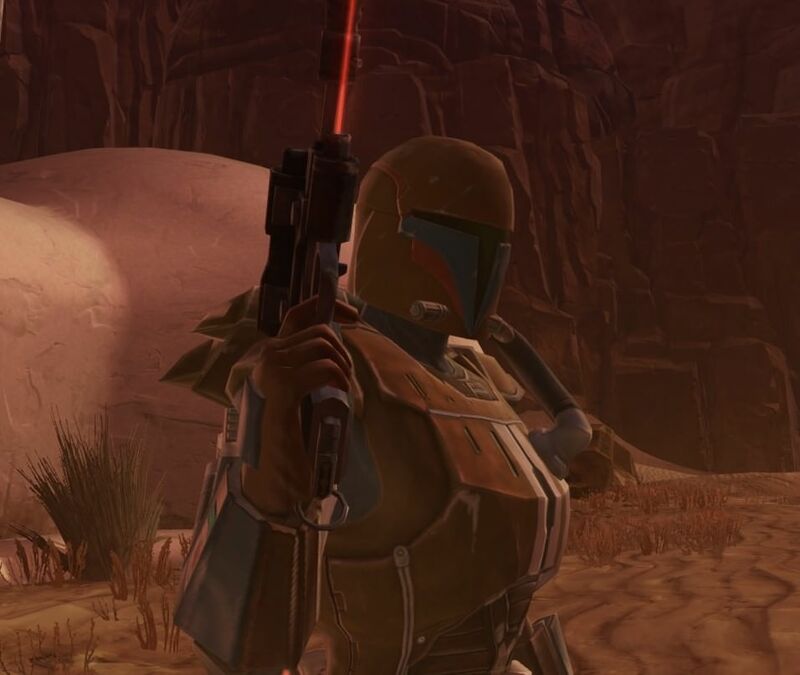 The Sheyf was murdered by her youngest son, Fentyn Vos, also deceased. Rumor has it that the youngest brother undertook the failed attempt in affiliation with the Empire. Imperial officials have vehemently denied these claims. She is survived by her two eldest sons, Harenn and Kendros, who foiled the coup and have taken the position as the dual heads of Clan Vos. Renowned Jedi Master Maryck Vos could not be reached for comment, though some sources are speculating he is a direct descendant of the Sheyf's line, being the perfect age to be a son of one of the siblings, and was involved in some capacity.